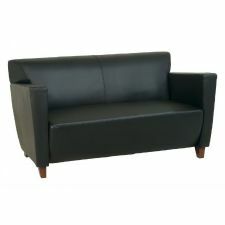 Black Leather Love Seat with Cherry Finish. Black Leather Cherry Finish Legs. Meets ANSI/BIFMA Standards. 300 lb. Weight Limit. 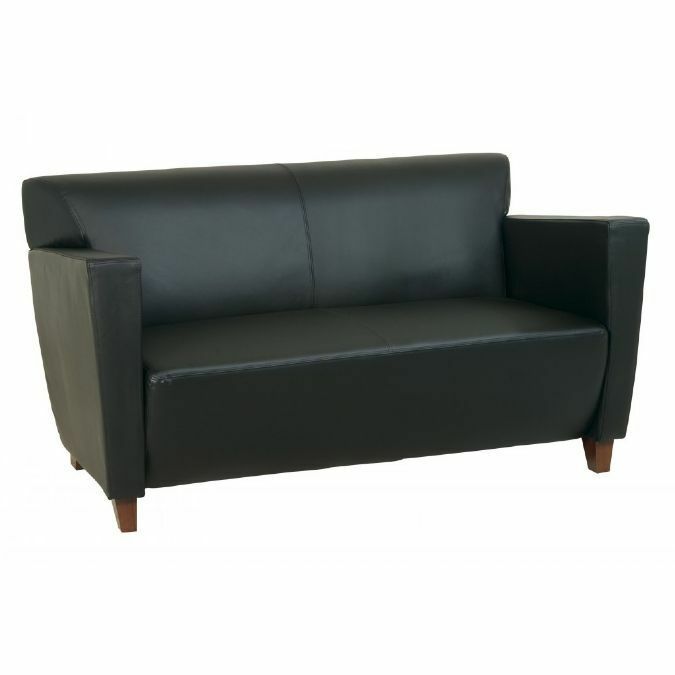 This version of this Love Seat is shown and priced with Black Leather with Cherry Finish Legs.